How many rupees for a t-shirt? Now that's some legal tender. Put your hands in the air, people! On the flight home from the UK Tuesday, Bohemian Rhapsody was a movie selection. I indulged, but did not inhale. Hello, Julie, dark knights, happy days, and all. Hey Parq, Uncie Michael, James & Sem! specimen essay note?! That just sounds dirty! I am honored to be among such a stellar collection of folks this afternoon. Hi Meghan!! And hi to all Dark Night fans! Show Julie that you love this music during the daylight hours by making a pledge at the top of this playlist! ahhh, two of my favorite ladies! Come on people show these ladies your love! Epic occurs every week here on the Drummer stream! Some hosts get sad if they don't see enough people making comments. did the mics get a little quieter? I thought everyone at WFMU was part of a single, hive mind. Three prizes are available this hour: Gang Gang Dance's "Kazuashita" LP, Grimes' "ArtAngels" CD, and Zola Jesus' "Conatus" CD - pledge $20 or more and put your choice in the comment section of the pledge form! Are she and Elon Musk still a thing? I'm not sure, James; the media has them breaking up every other week, it seems. I honestly don't know if they are still together! Uncle Michael- One of us! One of us! I figured Grimes would play the part of the Bond villain's adjutant/assassin who turns on said villain at the last moment and zooms off with 007 as the island explodes. 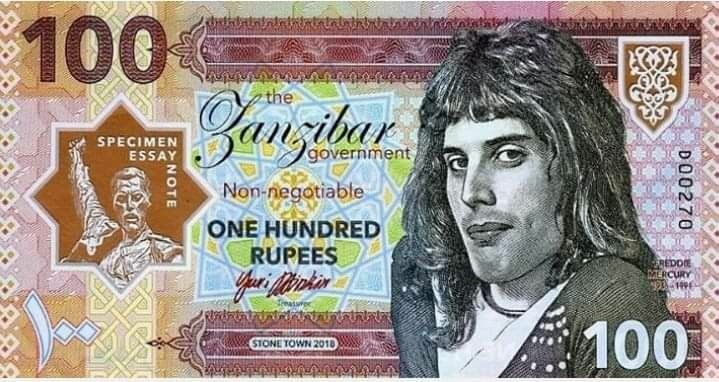 So hopefully Freddie rupees are presently worth more than Geoffrey dollars. I like that plot twist, james! Yes, Psyche! I've had "Perl-Operated Boy" on the mind since last week, in a sort of beneficial earworm. I didn't realize Julie had a regular time slot until Mary mentioned it yesterday. Hai Joolie. Well that's a lot longer than I realized. Welcome back! When will "Turn of the Century" apply to 2001 instead of 1901? Really? Once we cross the halfway mark, it can be the last century? Hello listener from 2051, by the way!! It just seems that after we're halfway through the century, using that to refer to the previous century becomes absurd. it could happen earlier. When we were debating what to call the first decade (we settled on "the aughts"), my own nomination was that we call it "the turn of the century". That caught on just as virulently as do most of my ideas. If we use it now to refer to 2001 it sounds wry, ironic, arch. Annnd, this is why I never caught on as a pop culture pundit. Parq, you're my go-to pop culture pundit. I blush, UM. See you on finale night. I'll be hard to miss. We have set a goal, please help us reach it! Would never have heard this track, Sandy Denny, nor FC had it not been for WFMU. Pitch in for a wonderful disc, DJ, and station! This whole set makes me feel like I'm back in my sophomore-year apartment. There isn't any Hot Tuna coming up by any chance, is there? Great track/LP, worth going for! The 3 prizes for this hour are Bjork's "Vulnicura Live" CD, Fairport Convention's "Liege & Lief" LP, and Marissa Nadler's "For My Crimes" LP - make a pledge and win one! Heya Julie and donaters. What a smash playlist I missed, that's why I listen and donate! Liege and Lief is a landmark LP, a must-have. I know! I hate not being able to win these prizes! ahhhhh yay! Love this song! if you want a particular prize, please mention it in your comment! Hiya Carmichael and Michael! We're drowning in prizes here, someone make a pledge! I've seen these audiophile reissues starting at $25, as high as $50, even $100 for some super duper limited edition reissues. I already named you both in my S4L upgrade! Why don't u have a show Meg? I am so happy to be hearing Sir Elton doing this because I've had Eliza's magical heart-hug of a cover on the brain since "Over Cold Shoulders." Remember to listen to Meghan co-host with Jeff Sarge on Sunday morning's Reggae Schoolroom! Gotta dash...great show you two! I saw EJ in the early 80s. The guitarist's amp had some kind of extended problem, so Reg just smiled mischeviously to the drummer and bassist. They launched into an amazing boogie woogie piano number while the roadies slaved away. Musical magic! I mean, jeez, Elton and a piano are a pretty effective combo on their own, so not surprised that he Had Things Under Control during the fix! Searching that Rickman cover on Google brings up a Julie playlist from 2018 among its top hits! I don't think her covers album is actually even released yet. I do hope it sees its way to sale! HEY! Thank you, Listener Danne D for adopting Bailey, the Underwater Theme Park Dog for 2019! Hi, all. Did Bailey score a ScratchMaster 5000™ name from Trouble's show this morning? Thank you to everyone who pledged, you are all stars! Many thanks, Julie and Mary! What a bloody epic show that was!